BORN: 1816 in near Edgefield, SC. DIED: 1874 in Galveston, TX. since his field service lasted only 4 months. Louis Trezevant Wigfall was born on April 21, 1816, near Edgefield, South Carolina. He attended the University of Virginia for one year, then graduated from South Carolina College in 1837. Wigfall became a lawyer who, by 1844, embraced the secessionist cause. He moved to Marshall, Texas in 1848, and was elected to both branches of the Texas legislature. Wigfall became a US Senator in 1859, in which capacity he led Southern states-rights advocates and promoted federal laws to protect slavery and slaveowners. An opponent of compromise, he wrote the Southern Manifesto in December of 1860. He joined five other Southern senators in refusing to vote on the Crittenden Compromise in January of 1861, causing the compromise to be defeated. He was one of the most vocal supporters of the Confederacy, although he was not expelled from the Senate until July of 1861. Wigfall became an aide-de-camp to Brig. Gen. P. G. T. Beauregard and was appointed to the Confederacy's Provisional Congress. In August of 1861, he was commissioned colonel of the 1st Texas Infantry; and Confederate President Jefferson Davis promoted him to brigadier general because of his loyalty to the Confederacy. His field service ended by February 1862, when he resigned to return to his seat in the Confederate Senate. Wigfall supported the unpopular proposals of conscription, impressment, the suspension of habeas corpus and the government takeover of railroads. He opposed any Confederate infringements on states rights, as well as the establishment of a Confederate Supreme Court. 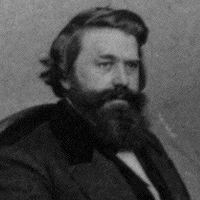 Wigfall was a harsh critic of Davis' military policies, and sought to have him removed from command of the Confederate armed forces. His political influence was largely responsible for having pressured Davis into naming Gen. Robert E. Lee general-in-chief of the Confederate forces. When the Confederacy fell, Wigfall escaped to Texas, hoping to continue the war there. The Texas troop had already disbanded, however, so he went into hiding from the pursuit of federal authorities. Fleeing to England around March of 1866, he remained abroad for six years, then returned when he learned that he would not be arrested. Wigfall's wife returned first, obtaining a house in Baltimore close to her daughter, and Wigfall himself followed soon afterwards. He moved to Galveston, Texas, but died within a few weeks, on February 17, 1874.